I remember the first time I heard Frankie’s story. We were sitting in his tiny flat, his little dog staring out at us from the kitchen. Frankie’s voice was calm, his tone, almost self-deprecating. But the tale was a brutal one. Armed robbery, drug peddling, illegal moneylending, a jailbreak, gang fights… the man’s done it all, and paid a hefty price. He’s 60 now and has spent more than half his life in prison. Today though, the ex-con’s also a celebrated artist. A poster boy for the Yellow Ribbon Project. Can a hardened criminal change? We think so. 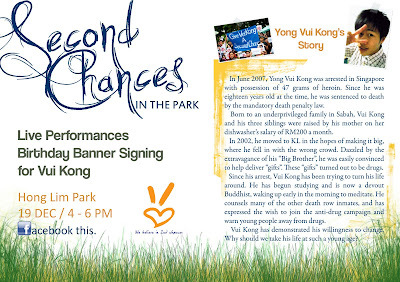 If you’re in Singapore this Sunday, some of our friends are holding a special event at Hong Lim Park. 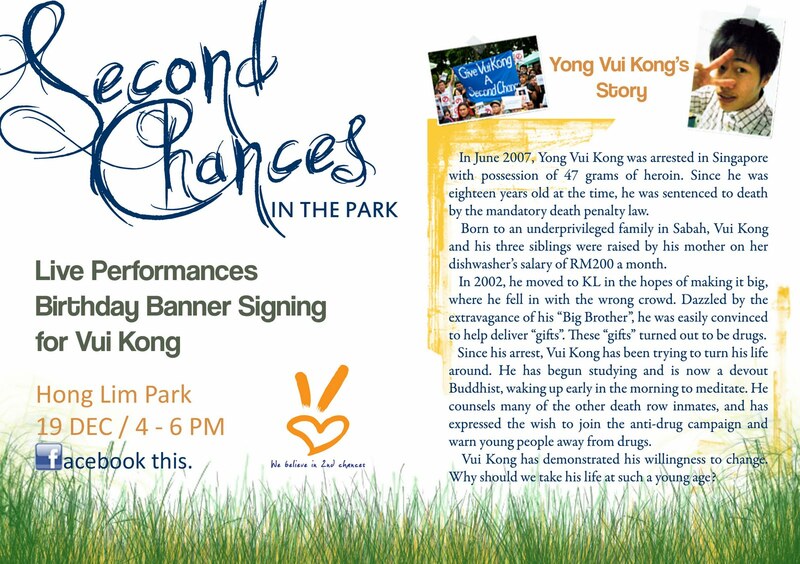 Second Chances in the Park is a celebration of, well, second chances for anyone and everyone whose ever made a mistake. It’s also part of the ongoing campaign to save Vui Kong’s life. We’ll be going and hope to see you too.